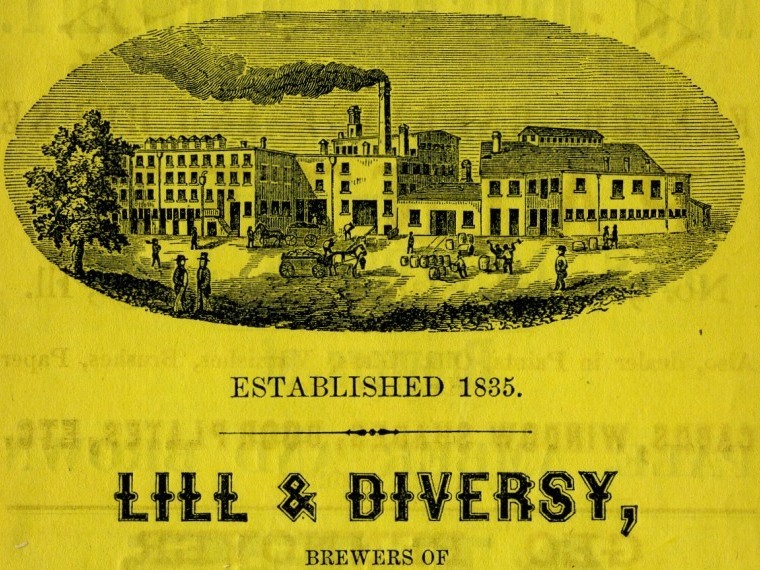 Lill and Diversy 1859Portion of an ad for Lill and Diversy’s Brewery from the 1859 Chicago Business Directory. 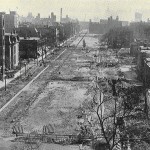 In 1859 they were at Pine (now Michigan) and Chicago Avenues. WaterTower 1876Chicago Water Tower and coal powered pumping station. 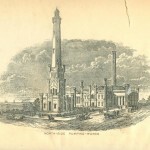 The Water Tower concealed a large standpipe used to equalized pressure between strokes of the steam pistons. Pine Street ca. 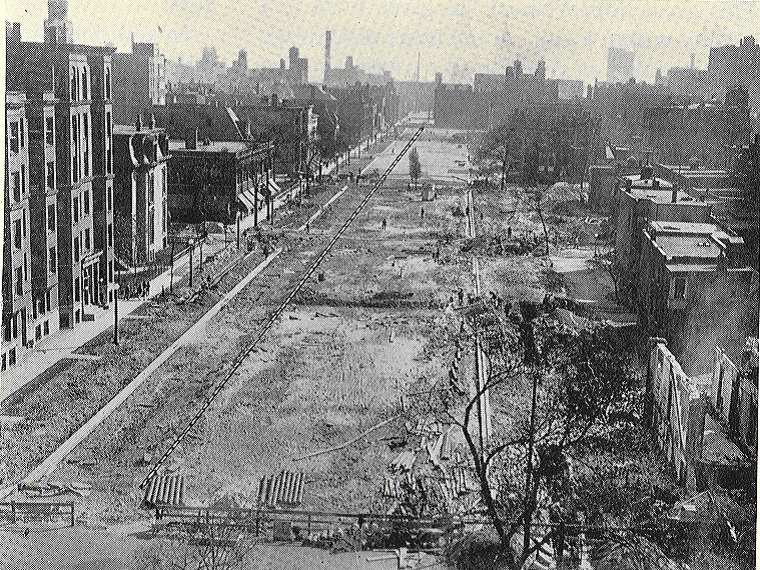 1915Pine Street (N. Michigan Ave.) being widened circa 1915. Source: Chicago Board of Local Improvements. Sixteen-year Record of Improvement. 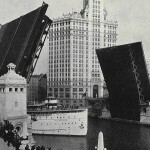 Michigan Avenue Bridge 1931Michigan Avenue Bridge circa 1930. Source: Chicago Board of Local Improvements. Sixteen-year Record of Improvement. 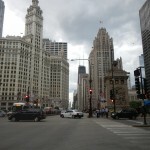 North Michigan Avenue ca. 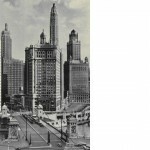 1930Looking north over the Michigan Avenue Bridge, circa 1930 Source: Chicago Board of Local Improvements. Sixteen-year Record of Improvement. 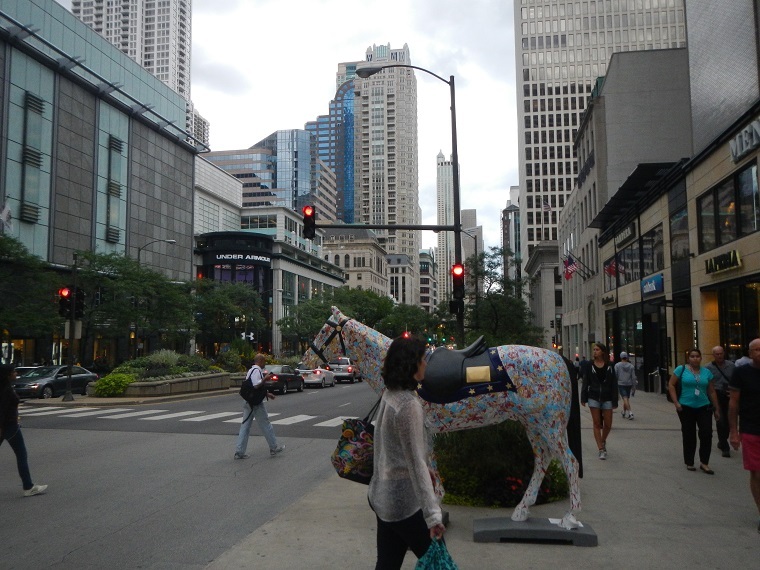 Today people come from all over the world to shop on North Michigan Avenue. 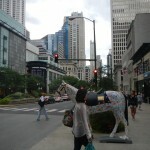 ZIP code 60611, which includes North Michigan Avenue, has more people employed in retail trade and “accommodations and food service” than any other Chicago ZIP code. 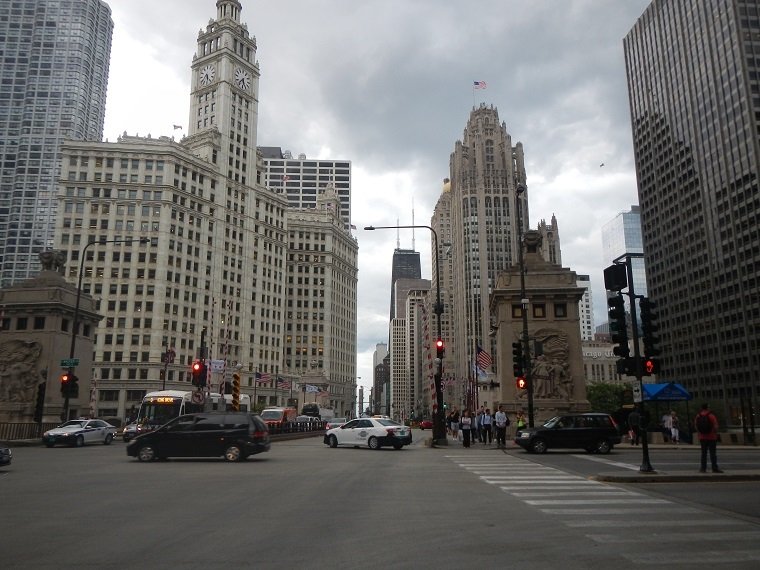 In 1909 Chicago’s streets were renumbered, and technically all of Michigan Avenue north of Monroe Street became North Michigan Avenue. 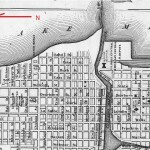 For most people, however, North Michigan Avenue refers to the portion north of the Chicago River. 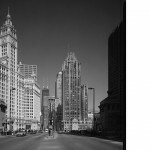 Now often called the “Magnificent Mile,” this portion was originally named Pine Street. 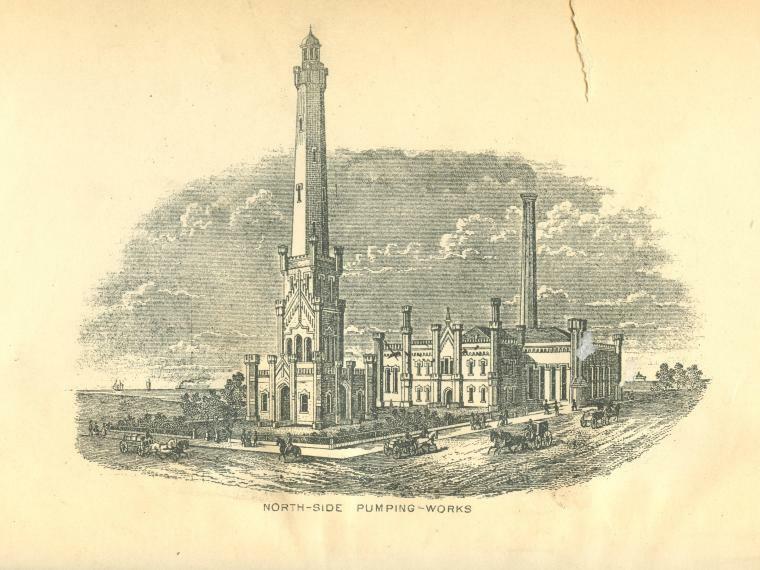 It ran along Lake Michigan and thus became the site of both the Chicago Water Works and Chicago’s largest brewery. 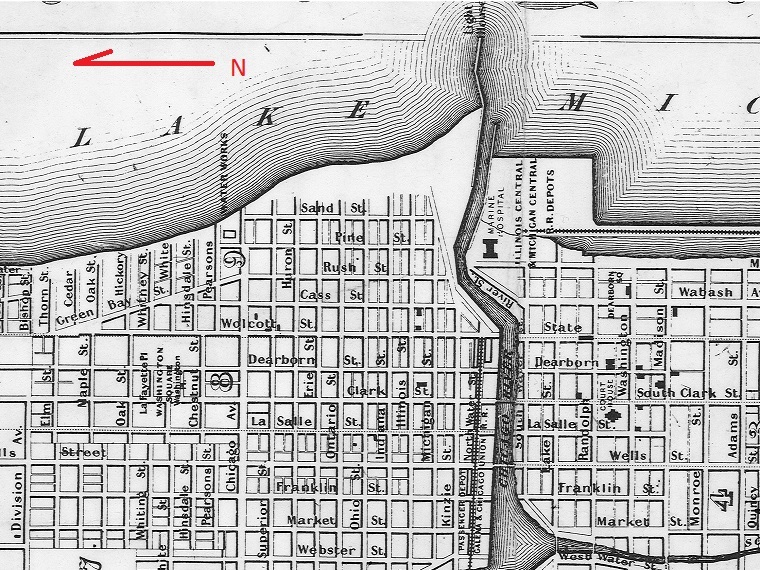 It was also the site of Fort Dearborn, from which modern Chicago sprang. 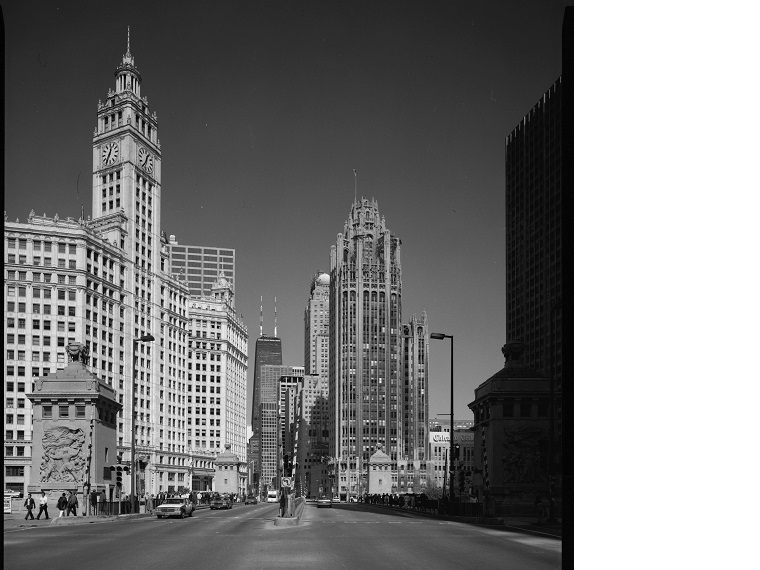 Pine Street was renamed Michigan Avenue in 1917 in anticipation of the 1920 opening of the Michigan Avenue Bridge. 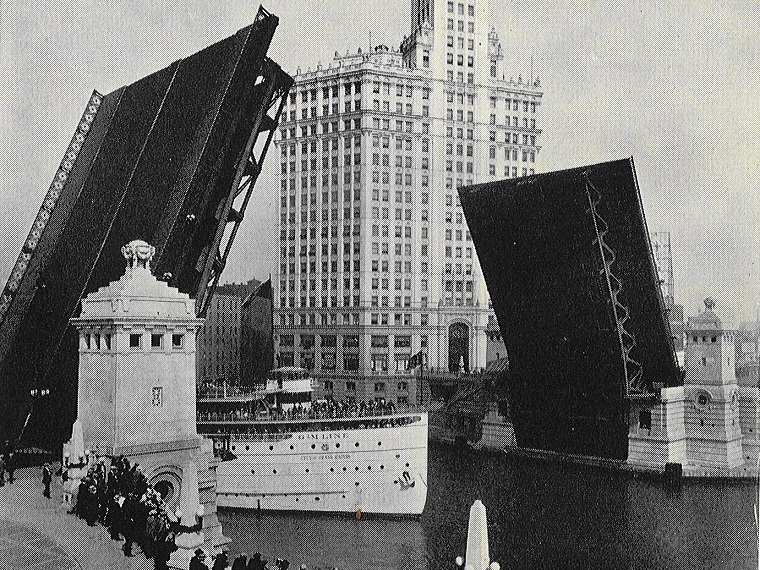 The bridge, a double-decker Chicago Bascule style bridge, handled far more traffic and was farther east than the Rush Street swing bridge it replaced. 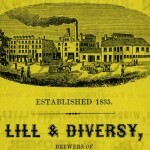 Commercial and other retail development promptly followed. 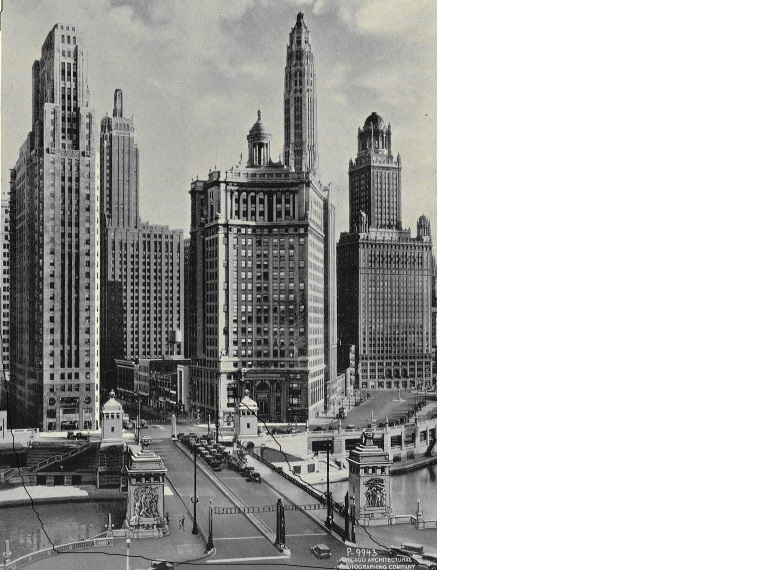 Landmark buildings such as the Tribune Tower, Wrigley Building and Palmolive Building were all completed in the 1920s. 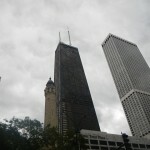 Late in the 20th century, another series of huge skyscrapers was built, including the John Hancock Tower, Water Tower Place and 900 North Michigan. 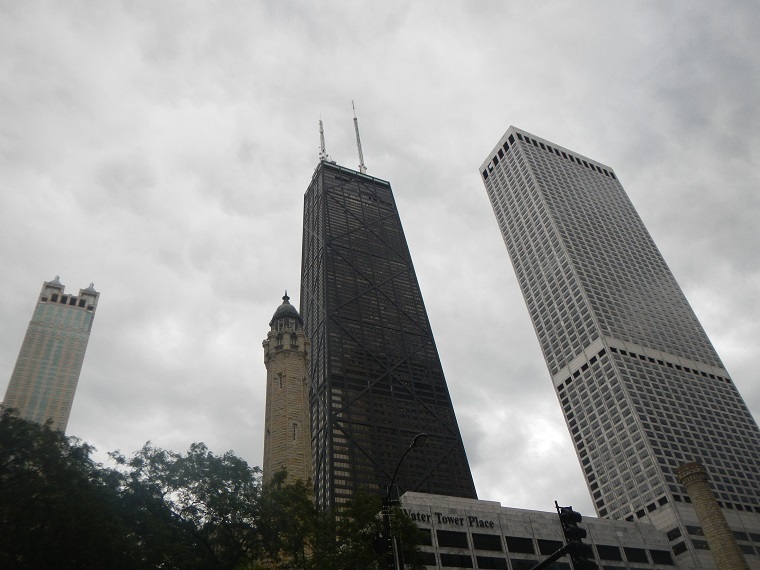 The architecture, shopping, the historic Water Tower, the proximity to the Chicago River and the street’s namesake Lake Michigan all combine to make North Michigan Avenue a world-class stroll for visitors to Chicago.